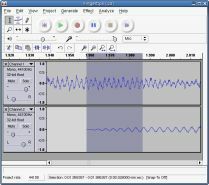 DI Reader Ashish Gupta has an interesting question - "Do you have any easy to use freeware to split mp3 file into smaller mp3 (at user defined points)? I know Virtual Dub that does same to video files." MP3 Splitter utilities let you easily trim the not-so-interesting portions of a podcast show, music recording or even a CD song. This reduces the file size and your friends won't get bored as they get to listen only the relevant parts of the audio clip. While there are tons of free and commercial MP3 Trimming software, the most popular ones are MP3Splt and MP3DirectCut - both are free and keep the music quality intact as they directly in the MP3 format without having to decode/re-encode. MP3Splt is a free but amazing command-line utility that can split mp3 and ogg files from a begin time to an end time. 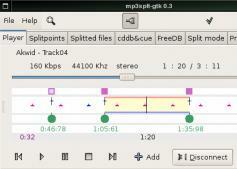 MP3Splt can even detect silent points in your audio clip and split the track accordingly. MP3DirectCut is Windows based audio editor that also supports splitting of Audio CDs into smaller MP3 files. You can visually select and divide portions of mp3 files or use the command line. While the above two utilities should satisfy most of your needs, if you are looking for that extra power, download Audacity with Lame MP3 encoder. It's free and has tons of advanced audio editing features with visual waveforms, sound effects and more.